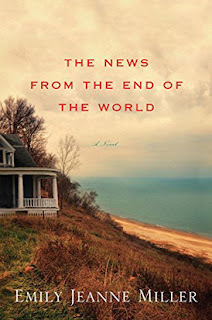 Emily Jeanne Miller is the author of the new novel The News From the End of the World. 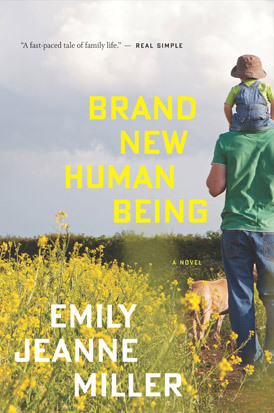 She also has written the novel Brand New Human Being and co-edited the anthology The River We Carry With Us, and her short fiction has appeared in the North American Review and the Portland Review. She lives on Cape Cod, Massachusetts. Q: How did you come up with the idea for the family you write about in The News From the End of the World, the Lake family, and for this novel? A: For me, a novel comes from so many different places. In 2010 I became an aunt to twin boys—my sister’s kids. We’re twins. I didn’t have kids then and I adored [my nephews]. I had an uncomplicated love for them. Seeing my sister being a parent, [I saw] how much less complicated it is to be an aunt! I had never read about an uncle or aunt. It started as Vance’s story and the niece he adored. He was butting heads with his brother over his niece. Q: So it started just with Vance’s point of view? A: Yes, I think it got about halfway through 10 times. I was at Yaddo, and had a revelation that I kept pushing away, that it had to be from other points of view. I had to start over. It was daunting. I had never written from other points of view. The more I got into it, I realized that’s what had to happen. It was fun. Q: Were there any perspective you especially enjoyed? A: Amanda’s point of view—I really felt for her and her predicament, how it felt being an angst-filled 17-year-old teenager, how everything feels so intense. Each character had something [good to write about]. Q: The book is set on Cape Cod, and a reader really gets a wonderful sense of the town the family lives in. How important is setting to you in your writing? A: Really important. I have to have a good idea of the setting before I get the book going. It’s rooted in the feel of the place, what the characters are going to see when they’re doing whatever they’re doing. I think about the setting first, or in conjunction with the first character. Q: Is the town you write about real? Q: How was the book’s title selected, and what does it signify for you? A: It wasn’t the original title. I had an original title that came from a quote at the beginning of the book, a Thoreau quote. The more I thought about it, I noticed that the phrase “end of the world” came up a few times—Vance says early in the book, What’s the news from the end of the world? When a phrase comes up more than once, it must be evident [that it’s significant]. It feels like the end of the world for Amanda. I liked the title because it means one thing at the beginning, another in the middle, and it’s different at the end. Also, there’s the geography—Chile was where Amanda was, and also the Cape. There are a lot of ways to read it. It was a happy accident! Q: The book deals with the issue of abortion. How did you decide to approach this topic? 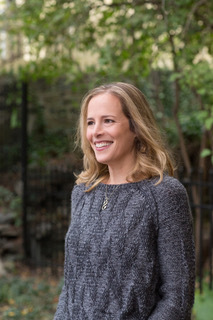 A: I tried very hard to understand where each character was coming from, having divergent views on the issue…People will disagree with what Amanda does, but hopefully there will be compassion…The point of the book is not to come down on one side or the other, but explore it from a compassionate point of view. Q: Are you working on another novel now? A: I’m not in the drafting stage yet. I do have an idea for one, another Cape book. --Interview with Deborah Kalb. For a previous Q&A with Emily Jeanne Miller, please click here.